Your cabinets do more than store your food and dishes — they alter a room’s ambiance. Perhaps the most obvious way cabinets change the feel of a room is through their color. The color wheel always turns as the years go on; what was popular just five years ago may appear outdated today. Thankfully, paint is one of the easiest aspects of a home to change. 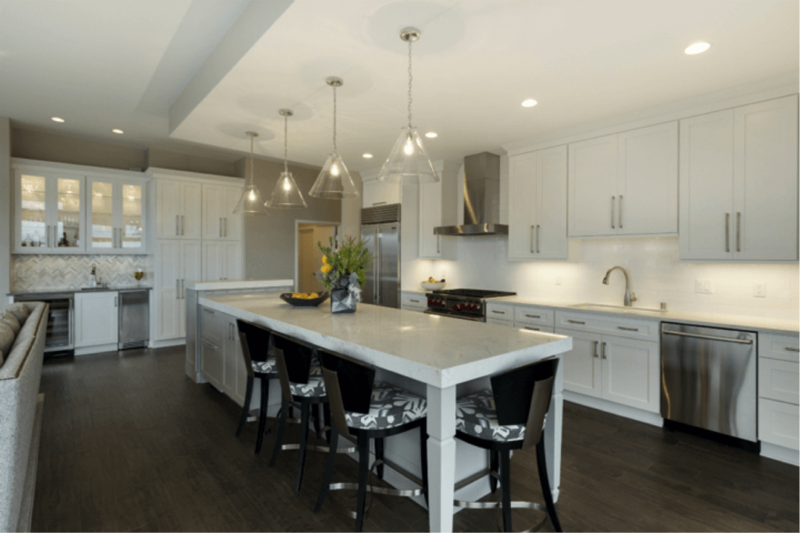 If you’re considering updating to a color that is on-trend, you don’t have to worry about a time-consuming or expensive renovation to update it now or a few years down the line. For homeowners who take a “set it and forget it approach,” there is nothing wrong with selecting a tried-and-true traditional color. These hues are timeless for a reason, and they look good in nearly any home setting. Whatever your style, take some time to explore both modern and traditional kitchen cabinet trends for 2017. You might just discover a new favorite color along the way. 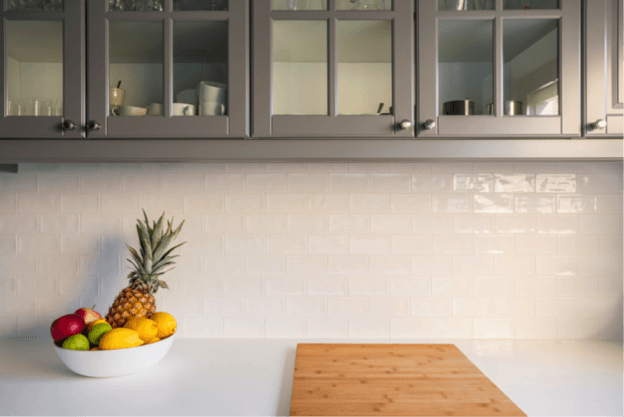 For a sleek, almost metallic look, homeowners are turning to gray coatings for their cabinetry. Light grays evoke a serene, calm feeling, while dark grays anchor a room with a sense of weight. Unique takes on gray, such as greige (gray mixed with beige), are becoming increasingly popular due to their neutral appearance that matches almost any design style. Gray cabinets are a trend that doesn’t seem to be going anywhere. Perhaps it’s this color’s unassuming and calming characteristics that attract people to it for use in bathrooms, mudrooms and kitchens alike. After a long, chaotic day, everyone could use a little gray. While neutral colors are great for selling a home, bold colors are the right choice for anyone looking to infuse distinctive personality into a room. 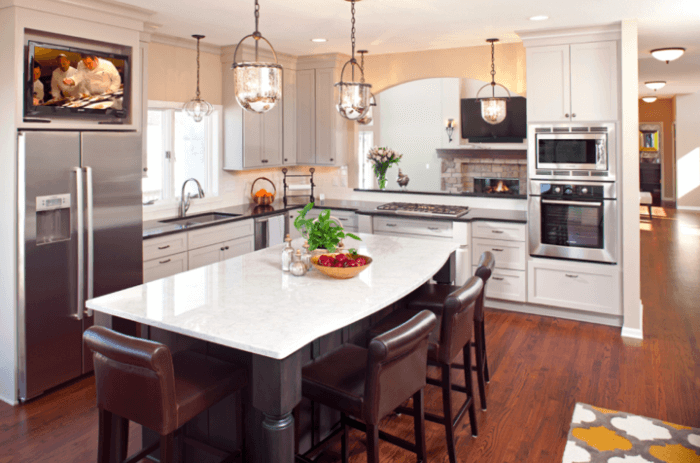 In kitchens, large appliances tend to come in basic colors like white or brushed metallics, so a splash of color adds interest to an otherwise forgettable space. Vibrant greens, deep blues and sunny yellows are unconventional cabinet colors that can become the focal point in a room. Although going bold with cabinet colors creates a unique and visually stimulating environment, it’s important not to go overboard. When someone walks into a room with five different colors all competing for attention, it feels overwhelming. A little bit of color goes a long way, so stick to one you love and let it be the center of attention in a room. Don’t know where to start? Check out Architectural Digest’s jewel tone gallery for inspiration. These bold colors are renowned for their elegance and are very on-trend for 2017. For a traditional, clean look in a room, white is the way to go. White is a good choice for spaces with large windows, as the cabinets will reflect the light and make the space feel larger. That’s not to say white won’t work in a space with limited light — in fact, white often adds a sense of airiness to a room that is dark and drab. White creates a sense of order; so if you’re the type of person who likes to keep things neat, it could be the right color for your personality. Although white is ideal for traditional-style cabinetry found in cottages, summer homes and country farms, it has a timeless appeal that also works well with modern-styled cabinetry. This color exudes optimism, so go with white for an uplifting addition to any room. If you’re a plant-lover, mint is the perfect complement to leafy green interior gardens. It’s the kind of color that pairs well with cool color tones and relaxed moods. Imagine the soothing feeling you’d get while growing basil right next to your latest pesto recipe, all the while surrounded by a color as fresh as your upcoming meal. It’s the kind of experience that engages all the senses at once. Soft tones like mint tend to reduce the harshness of sharp edged cabinetry. They also help take the edge off of a stressful day; colors found in nature, like mint, evoke a sense calm, balance and harmony. Mint is also a pastel shade of green, which is at the center of the electromagnetic color spectrum. Compared with colors like red or violet, which are at the ends of the color spectrum, mint green is easier for the brain to perceive and recognize. If you’re looking for kitchen serenity, go with the color that instinctively provides it. There is an endless amount of color options for cabinets, and we don’t blame you if the prospect of making a selection feels daunting. Check out our blog on other kitchen design trends for 2017 to see how you can pair your cabinetry with other design elements to make it stand out.